I can't imagine not having any of these amazing couples in my life. I am so blessed to be a part of each and everyone of my couples lives. From elopements to weddings with 500 guest we have done it all this year. Each and everyone was so special and unique. If you would please vote for your favorite couple by leaving a comment below to receive a free 16x20 canvas. Winner will be announced on January 2nd! Thank you for making my dream job a reality and letting me be among the memories of the most amazing days ever!!!! Dana Hargett - Nicholas and Valerie Hood wedding was beautiful! Calla - Jessie & Trey Grego! M Laxson - Caleb and Whitney Waller! Steve Scott - I vote for Whitney Hargrave & Caleb Waller wedding pic! Brittany Lindley - Keri and Jake Newton!!!! Sarah - Rachel and Dane!!! Hanna - The Whitson wedding! Jordan - Jordan and Tara Harper Wedding! All of these pictures are great! Tara - Harper Wedding is my fav;) these are all beautiful! Linda - Caleb and Rebecca Whitson!! Lana Jones - The Jones - Harper Wedding was amazing! You did a wonderful job! Kylie Harper - Jordan & Tara Harper!!! Charles Jimmison - The Watkins wedding !!! Deborah Lancaster - Trey and Jessie Grego! Nita Dowdy - Trey and Jessi Grego. Beautiful Couple and Beautiful Wedding Pictures !! Jennifer Bowlin - Jessie and Trey Grego for the win!!! Good Luck! Darlene Chandler - Trey Grego & Jessie Grego .A fairy tale wedding .Beautiful pictures . Kathy Corbin - Jessie and Trey are perfect!!! Carla Grego - Jessie and Trey Grego. Most beautiful wedding ever. Most beautiful bride and most handsome groom. Emily Horton - Justin and Karli Thorne! Kathy Donnan - Karli & Justin Thorne . Loved all their wedding pictures. Gina Sprinkle - Kayla and Tevin Terrell’s wedding- beautiful pictures..
Alice - I vote for Dane and Rachel!! Martha - Kayla and Tevin Terrell. Beautiful pictures! Annette vause - I vote for Trey and Jessie ! Jon Bowers - Kayla and Tevin is my vote. Mandi Raines - Jessie and Trey, beautiful!! Houston - The Watkins Wedding!!!! Lindsey - The Watkins Wedding! Charlotte Rogers - My vote is cast for Karli and Justin Thorne. Shelia hill - Whitney and Caleb !! Karli and Justin Thorne - You did an outstanding job on Karli and Justin’s engagement and wedding pictures. They were the best wedding pics I have ever seen. You captured the love. Kay Tompkins - Love the Abroms photos!!! Beautiful shot , so much love is shinning through. Lexi Parker - My favorite couple is Justin and Karli Thorne. Danny Mongosa - Ciara and Web Blount are my vote. Great sunset captured behind them. Amy Rickard - I love Justin & Karli Thorne!! Justin and Karli Thorne - Karli looks absolutely stunning in all her photos! Beth standridge - Justin and karli Thorne! Mary Lou Thomas - I vote for Karli and Justin Thorn. Chris Lowe - Id like to vote for Dane Proctor and Rachel Cole Proctor. Virginia York - Very special day!! Love to win !! My oldest son and his Beautiful bride. Belinda Brown - All of your photos are beautiful but my favorite photo is of Rachel and Dean Proctor! May all the couples have many years of love & happiness! Whitney McGill - Sarah Jo and Dustin!!!!! Tracy Parks - Six votes for Dane and Rachel Proctor! Celia Mothershed - Marty and Susan Abroms!!! Delana Hubbard - I vote for Jackson & Taylor Jones. Logan - Ciara and Web. Heather - THE JONES’ ❤️❤️❤️❤️ Taylor and Jackson! Love love love!!! Carly - Sarah Jo and Dustin get my vote! Brittany Proctor - I vote for Dane Proctor and Rachel Cole Proctor! Jennifer Sewell - Rachel and Dane Proctor For the Win!!! Hope Steed - "The Watkins Wedding"
Kay Brown - Rachel and Dane Proctor wedding! Christina - I am voting for Keri and Jake! Kelly - Voting for Rachel and Dane! Gabbi Wilson - Rachel and Danes wedding photos turned out beautifully! I know she would love to have a canvas of their special day to cherish forever! Hilary - Ciara and Web!!!! Ann Blount - Ciara & Web! Haley Fields - Courtney and Austin Sparks! Ciara Blount - Ciara & Web! Katie Nolan - Jackson and Taylor Jones! Ravin caughey - Jackson & taylor !!! Jessica stidham - Brad & Jessica Stidham! Carole - I want to vote for Jake & Keri Newton. Their pictures were awesome ! Ashton H - Jackson and Taylor!! They are such a beautiful couple!!! Kaelyn Miller - I wanna vote for Jackson & Taylor Jones! Tammy Wilson Hayes - Taylor and Jackson Jones❤️ Most beautiful wedding and couple! 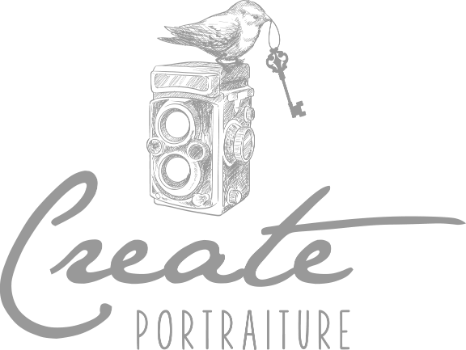 Thank you Create Portraiture! Morgan Sennett - BAILEY AND JOHN SYKES IS MY FAVORITE COUPLE! Destiny Russell - Talcott wedding!! Keri newton - I am voting for Keri and Jake Newton! Kacey - Jackson and Taylor jones. Gwen Scott - You do a fantastic job!❤️Caleb & Whitney Waller’s pic. Whitney Waller - You know who our vote is for... Caleb Waller and Whitney Hargrave!! Jason Staggs - My favorite couple, of course, is my daughter and son-in-law - Bailey and John Sykes. I believe they were your first wedding for 2017. We had tons of great pictures from that day. We knew we wouldn't be disappointed booking you to do the photos but you let your creativity shine that day. Thanks for the memories. Jamie Hines - I vote for Karli Grigsby Thorne! Michelle Price - I am leaving a message for Jackson and Taylor Jones. They are a very sweet couple , that are very hard working and well deserve to win the free picture. I work with Taylor and I think of her as a very pretty and sweet girl and I enjoy working with her. Rachel Proctor - I still can't stop looking at all of our photos! This one of us is one of my favorites! Karli thorne - I hope it’s appropriate to vote for ourself! You’re the best!! Judy Steele - I vote for John and Bailey Sykes......beautiful pictures....beautiful couple!